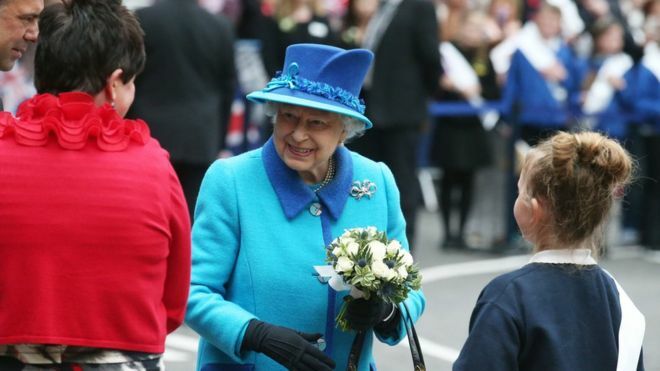 Cheering crowds have greeted the Queen in Edinburgh on the day she becomes Britain’s longest reigning monarch. Bad weather delayed her arrival at Waverley Station, but the 89-year-old monarch and the Duke of Edinburgh have now set off on the new Borders Railway. Read the rest of the article on the website of the BBC: click HERE. This entry was posted on septembre mercredi, 2015 at 13:15	and is filed under British Isles (The), News, Read or watch. You can follow any responses to this entry through the RSS 2.0 feed. You can leave a response, or trackback from your own site.